I’m going to start with my favorite pie crust recipe. Trust me, I’ve tried them all (I’ll refrain from posting the ones that don’t work, just know that it isn’t always you.) I’ve tried vodka in place of water, water + vodka, and a few other things that escape me now. 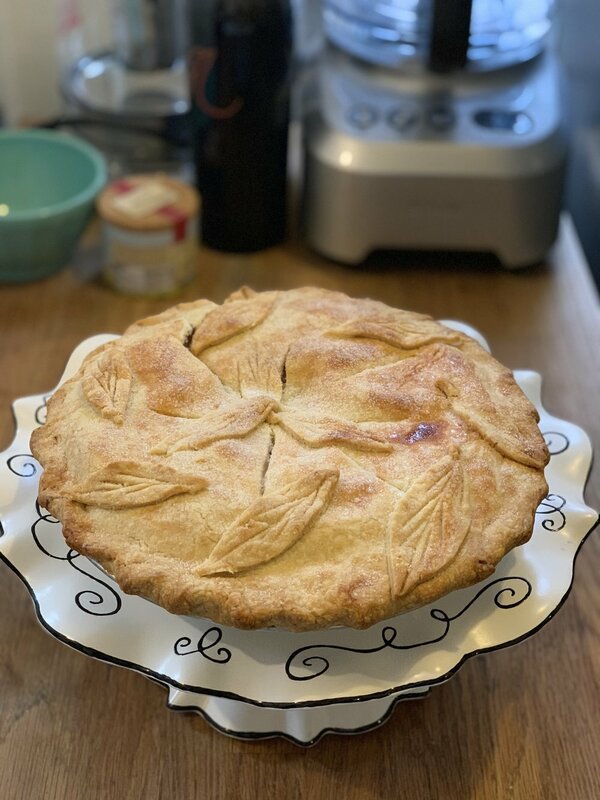 Hands down, the best crust recipe is Ina Garten’s Perfect Pie Crust. I think pretty foolproof unless you do some things you shouldn’t like roll it out too thin and also don’t over work it or under work it. Just follow her instructions as they are quite perfect as written. NOTE: I do find there’s judgement needed re: “pulse” on a food processor. I hold it down a bit - not just a light tap. I’ve used this crust for apple pie, peach pie - pretty liquidy pies and it’s held up. Several purchased crusts or dough are great time savers. It’s fine. Do that if it helps you get your pie-making going. My favorites include Wholly Wholesome (gluten free, spelt, whole wheat options) which is a shaped crust in a tin sold at Whole Foods. If you live in NYC, Four & Twenty Blackbirds dough which you can also buy at Whole Foods. Sadly, I’ve not seen the Four & Twenty option on the west coast. People also seem to like Trader Joe’s pie crusts but I haven’t tried them. be sure to brush your bottom crust with an egg wash before chilling and filling. this helps seal it and helps with soggy pie crust bottom. be sure to freeze/refrigerate your crust after you roll it out and place it in the pie tin - if you don’t chill it or freeze it for a bit you’ll get a mess on your hands (less time to freeze it - 10 mins; no less than 30 mins for refrigeration in a cold fridge) . make your pie in a tin or glass pyrex pie plate. i’ve had rotten success with ceramic - mostly b/c i can’t see how brown the crust is. bottom crusts take a long time to brown - you aren’t gonna overbake a fruit pie. Just protect your top crust from burning with foil or edge protectors in silicon or metal. blind baking your bottom crust helps - even just a bit for a fruit pie. for that beautiful top crust on a double crust pie, do an egg wash AND sprinkle it well with granulated sugar before chilling and then baking - it’s really pretty and worth the extra step. I don’t sprinkle the pie edge with sugar - and I very lightly do an egg wash there b/c it browns faster than any part of the pie.